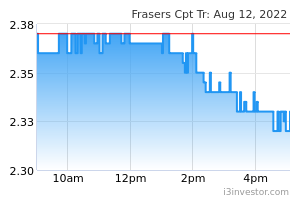 FRASERS CENTREPOINT TRUST (SGX:J69U)’s 1Q19 DPU of SGD3.02cts, up 0.7% y-o-y, was led by improved occupancies across all assets and a +6.9% rental reversion, driven by strong leasing momentum at Causeway Point and further entrenchment of Changi City Point as an outlet mall. Following in-line results with our estimates, our forecasts and DDM-based Target Price of SGD2.55 (WACC: 6.9%, LTG: 2.0%) are unchanged. Frasers Centrepoint Trust’s 5.7% DPU yield is compelling and it remains our preferred retail REIT given its strengthening suburban mall footprint, visible growth drivers, strong balance sheet and potential acquisition catalysts. 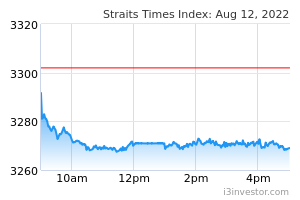 Frasers Centrepoint Trust’s revenue grew 2.9% y-o-y/1.6% q-o-q on the back of a 2.5% y-o-y/7.6% q-o-q rise in NPI. The performance was led by an improvement in portfolio occupancy (YoY and q-o-q to 96.2%) driven by stronger occupancies across all six malls and a +6.9% rental reversion. The strongest reversions were at Causeway Point (CWP), up 11.1%, with the renewal of its 25 leases (including three anchor/ mini-anchor tenancies), which contributed to 19.8% of its NLA and about 71% of all renewal leases for Frasers Centrepoint Trust’s portfolio. Excluding Northpoint City, overall shopper traffic was up 3.5% y-o-y, whilst tenants’ sales dipped slightly by -0.9% y-o-y between Sep-and-Nov 2018. Looking ahead, we see strong leasing momentum supporting renewal efforts into the rest of FY19 (46% of expiries are at CWP). Northpoint City North Wing (NCNW) has likely stabilised post its AEI; its revenue was up 4.5% y-o-y/3.8% q-o-q and NPI grew 2.2% y-o-y/9.8% q-o-q, as occupancy rose q-o-q from 96.5% to 97.9%. We see shopper traffic improving given the asset’s increasing relevance as a destination mall. Its Changi City Point (CCP) asset, successfully repositioned as an outlet mall, delivered 12.7% y-o-y and 18.7% y-o-y growth in revenue and NPI, as occupancies improved q-o-q from 93.8% to 94.8% with stronger shopper traffic from the opening of the Expo Downtown Line station driving tenant sales. We continue to see larger destination malls demonstrating more defensive attributes against e-commerce competition. At its AGM, CEO Dr Chew Tuan Chiong announced his intention to retire at 62 years of age after leading Frasers Centrepoint Trust since 2010. A succession plan is in place and we expect a new CEO to be in place soon. The growth strategy will remain unchanged in our view, and investors can look forward to Frasers Centrepoint Trust’s next growth phase.